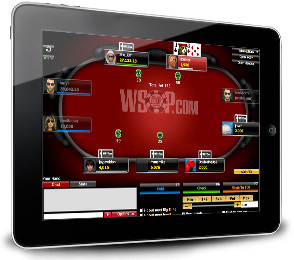 WSOP.com NJ customers can enjoy playing at the site via their favourite Android or iOS powered mobile device thanks to some handy apps for iPhone, iPad and Android powered smartphones and tablets. 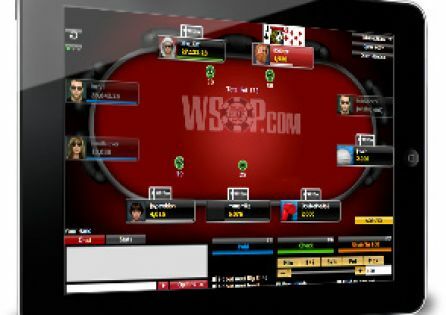 WSOP NJ mobile apps currently allow players to only play on one table at a time, but cash games, sit-and-go tournaments and multi-table tournaments are all there to play. 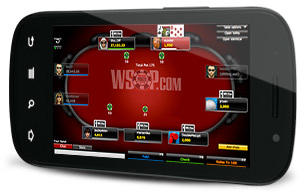 The WSOP.com New Jersey real money poker apps for iPhone and iPad are available in Apple's AppStore, while the app for Android is available on Google's Play Store. 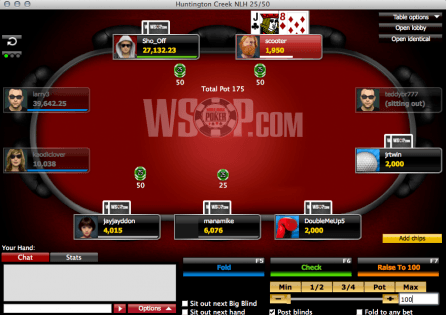 The WSOP (World Series of Poker) is arguably the biggest and most trusted name in the poker world, and now you can play at WSOP.com legally also while you are in New Jersey. WSOP.com New Jersey hosts exciting cash games, a superb tournament schedule and is the only place that offers you the opportunity to qualify for the World Series of Poker! WSOP.com is the official online poker site of the World Series of Poker, one of the most-trusted and respected names in the poker world. 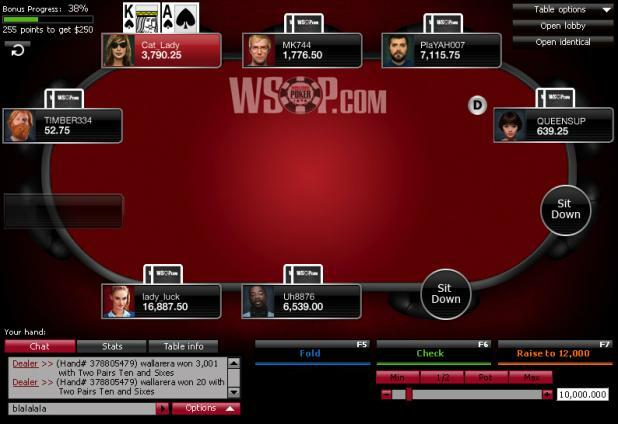 WSOP.com New Jersey uses the tried and tested 888poker software on its own standalone network, and that means you only play against fellow WSOP.com players from New Jersey when you sit down and play online poker. With a good selection of deposit and withdrawal methods, including being able to use cash at the cage of the Caesars Atlantic City casino, a large welcome bonus and rewarding VIP scheme, it is easy to see why WSOP.com has become the site of choice for many of New Jersey's residents. 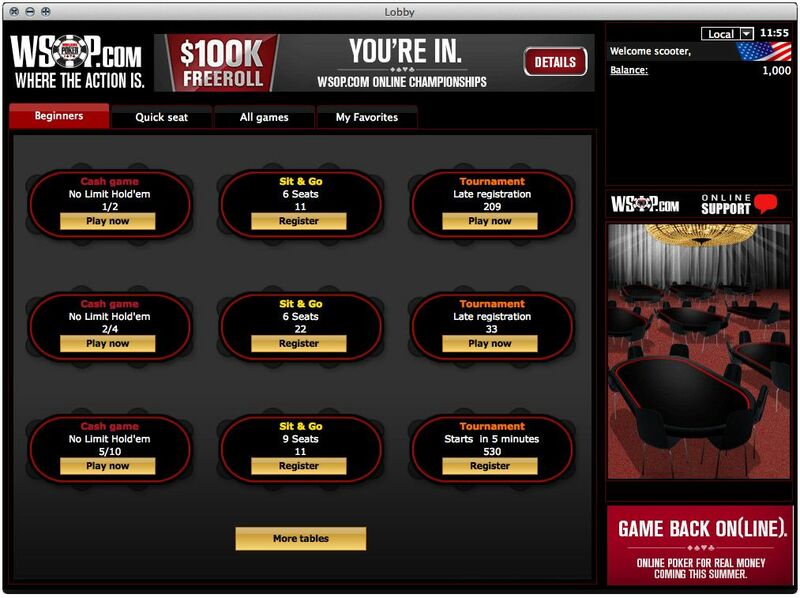 You can play WSOP.com NJ on both PC and Mac. If you are like to play from your smartphone or tablet, WSOP.com NJ offers you free apps for iPhone, iPad and Android powered devices. WSOP.com NJ offers numerous bonuses and promotions to all the players who choose to open their account through PokerNews. In order to be eligible for all the PokerNews-exclusive offers and be awarded with the welcome bonus described below, all you need to do is to sign up for an account by clicking on one of the links on this page. Remember: no bonus code is needed at WSOP.com NJ if you sign up for an account from PokerNews. When you are ready to make your first deposit at WSOP.com New Jersey, you can do so safe in the knowledge that your deposit amount is doubled in the form of a bonus. 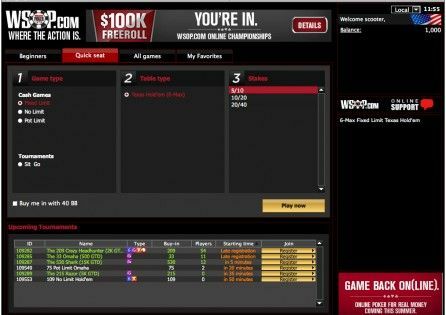 Deposit $10 and WSOP.com NJ will place a $10 bonus into your account. Increase your deposit amount to $100 and a $100 bonus is all yours. For maximum value, put $400 into your WSOP.com NJ as a first deposit, as in this way a $400 bonus will be yours! 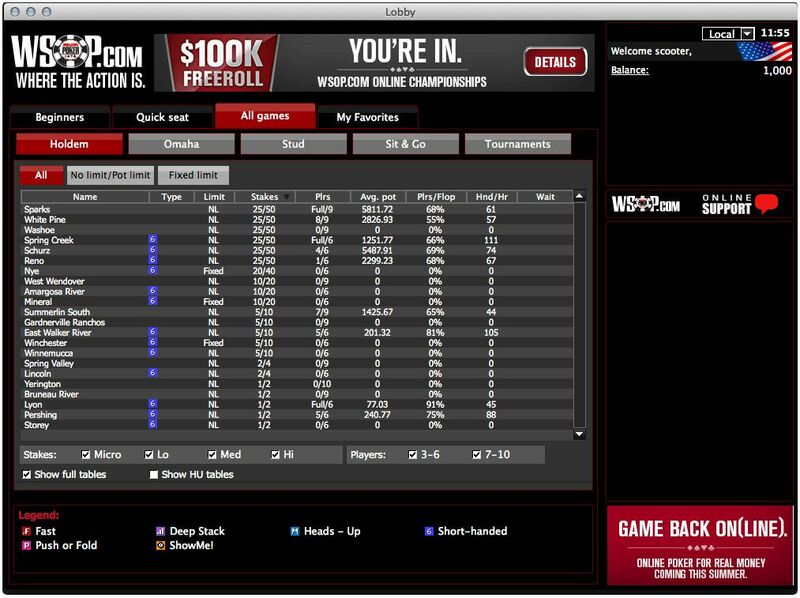 This WSOP.com NJ bonus releases into your account balance in $10 chunks each time you earn 100 Action Player Points (APP). You have 60 days after making your first deposit in which to clear the full amount - otherwise any uncleared bonus is forfeited. Each $1 you generate in rake or tournament fees gives you two Action Player Points (APP): the more points you earn during a calendar month, the higher up the VIP ladder you climb. The scheme has four monthly levels of Silver, Gold, Platinum and Diamond in addition to two yearly levels of Elite and the coveted Seven Stars, the latter being the highest level of loyalty at Caesar’s brick-and-mortar casinos which in itself yields lots of benefits. There are buy-in levels to suit all budgets and skill levels, with cash games stakes starting at $0.02/$0.04 and increasing up to $5/$10. Should you experience a problem while playing at WSOP.com from New Jersey, you can check out the FAQ pages that are packed with useful and detailed information. If that doesn't solve your problems, you can contact WSOP.com's support team via the online form within the FAQ pages.